The fight against mortality is the longest in all of existence, and humans have taken it to new levels in developing ways to keep themselves alive for longer and longer. Some of these methods, however, tend to skirt the boundaries of what is morally right, or what can be done versus what should be done. A recent example is no exception: scientists at the Salk Institute in California experimented with pig embryos, injecting them with human stem cells to see if they would be able to grow tissues and organs out of human cells in hopes of using them for organ transplants. The goal is no doubt a noble one, as over 100,000 people currently need a lifesaving organ transplant; this would provide a more expansive source from which to obtain these organs. The same treatment was proven to work on rats, using mouse stem cells. The embryos accepted and began reproducing human cells, and those who did seemed to grow less and more slowly. The experiment was a success. T hat does not mean that you can have Amazon deliver a heart to you by drone anytime soon. Even so, the experiment itself has an unsteady standing in the scientific community. Not because of the experiment's validity, but since the National Institute of Health has not yet lifted its moratorium on such experiments, although it has stated that it plans to. Through all of this, it becomes clear that without adjustments to our moral code, potentially life-saving research on this level cannot proceed. The moral dilemma here is over several things. First, the idea of combining animal and human cells has led to issues over the possible adverse effects on the animal host. This is an issue that the experiment did not do much to dispel, as the growth of the pigs was affected. The other issue with this kind of research is defining a line between animal and human. These experiments could blur the lines depending on how human-like these cells turn out to be. 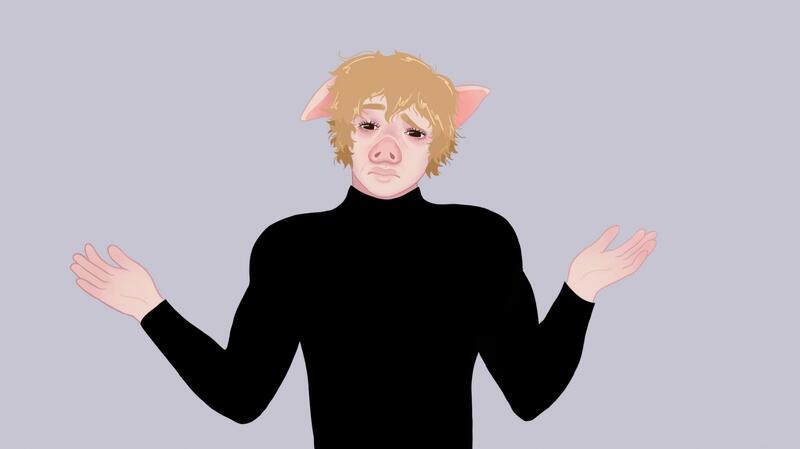 A pig-human hybrid joining society is not an immediate or realistic concern, but it will become an issue when harvesting the human organs from these animals becomes a routine medical procedure. Morality and mortality dance a delicate ballet around one another. We realize that no matter how much we may prolong it, the human body is designed to die. Though it is a grim fact, we cannot find a way to perfect the human genome enough to provide that essential key for immortality. The moral issue is when we find ideas — through experimentation with other animals — that could change this fact; not by perfecting the human genome, but by adding bits and pieces from other organisms to it. Because the animals we would use to benefit us would not survive the ordeal, we therefore value our lives above theirs. In other words, we can alter them to our liking in order to further our own potential. While humans are the most intelligent species on earth, we also treat the value of intelligence as paramount. If we were to value species based on their overall contribution to the survival of the planet, we might put trees above all, and humans right below mosquitos. Regardless, humans think they are above all other life on this planet; I highly doubt that we plan on growing pig organs in humans any time in the foreseeable future. It is an odd thing to really think about the fact that humans might not be the most important thing in the world, but to other humans, we are. All kinds of species have developed ways to work with each other in order to survive, but never before has the relationship been so complicated. This raises the question of whether or not humanity is a mutual benefactor in its relationships with the rest of the animal kingdom. We give animals shelter and food in return for food, comfort and so much more, yet humans also constantly damage habitats, kill for food and for sport and breed animals for our own uses in ways that often hurt them. It has always been a struggle to judge whether humanity’s relationships with animals is necessarily a healthy one, but it is not likely to change anytime soon due to how reliant we are on products we get from them. In a world where many animals are born only to die and help humans live longer, it must then be morally acceptable to create these hybrids, even if it is hard to stomach. Because humans fear death, it really becomes less and less of an issue to people whether it is right to do work like this. So until we do have to integrate a pig-human hybrid into society, morality in this area will seldom overcome mortality.